Fresno Unified high school students are taking advantage of new resources to help boost their SAT scores and expand their college options. 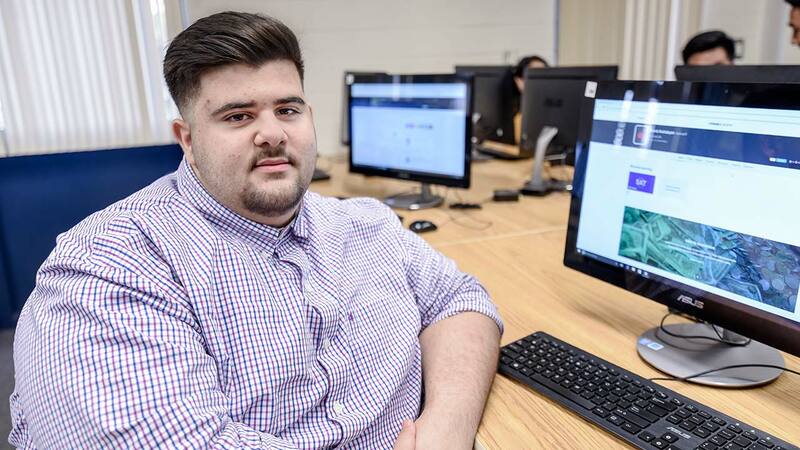 The effort is paying off with some significant SAT score increases for students like David Arshakayan at Sunnyside High School, who increased his SAT score by 330 points over his PSAT score. For many students, the improved test scores are a result of taking advantage of online tutorials from the Khan Academy to practice for the SAT college entrance exam. This school year, the district launched a partnership with the College Board (which administers the SAT) to offer Khan Academy tutorials for free to students taking the PSAT -- the practice test for the SAT. When students link their PSAT scores to Kahn Academy, it provides personalized tutorials, focusing on where students are weak. The tutorials also help students do better on material in their classes. Over the first half of the school year, the number of Fresno Unified students linking their PSAT results to Khan Academy jumped from 11% to 94%. Although it's too early to have definitive statistics on the connection between students using Khan Academy tutorials and test scores, counselors say students are making huge leaps between their PSAT and SAT scores. One example is David, a junior at Sunnyside High. David went from 730 on his PSAT to 1060 on the SAT. A native of Armenia, David had previously been designated as an English learner. He is now enrolled in three Advanced Placement courses and a member of the California Scholarship Federation. He plans to attend Fresno State next year and major in nursing. His ultimate goal is to get into medical school and become a cardiologist. In preparing for the SAT in April, David used Khan Academy twice a week. He said the tutorials in Algebra I, geometry, and Algebra II were especially helpful because it had been a couple years since he had studied those subjects. "The help in English was also good because the website was designed to help you if you didn't understand a question very well," David said.